Once again, I feel so blessed to have had yet another amazing experience while travelling – this time it was the Edge Walk on Toronto’s CN Tower! We walked along the edge of the famous structure, 116 stories up, with no railing whatsoever; the views were quite incredible. It was a little bit unnerving for the first minute or so, but after our first “trick” (leaning off of the edge backwards) we felt quite at ease. I love having the kind of people in my life who are so adventurous and courageous and fun. I know I’m a lucky, lucky person. omg brenna i can’t believe you did that!! you are brave – my hubby has been working on the outside of the first canadian place replacing all of the marble with glass so he is used to heights and even he wouldn’t do that!!! again, i admire all of your wonderful life experiences and hope you had a happy thanksgiving in t.o. you rock!!! Seriously, just looking at these pictures is putting my stomach in knots – literally! I feel SO uneasy! You, and your mom and boyfriend, are very VERY courageous! I don’t think I could do this if someone paid me…. 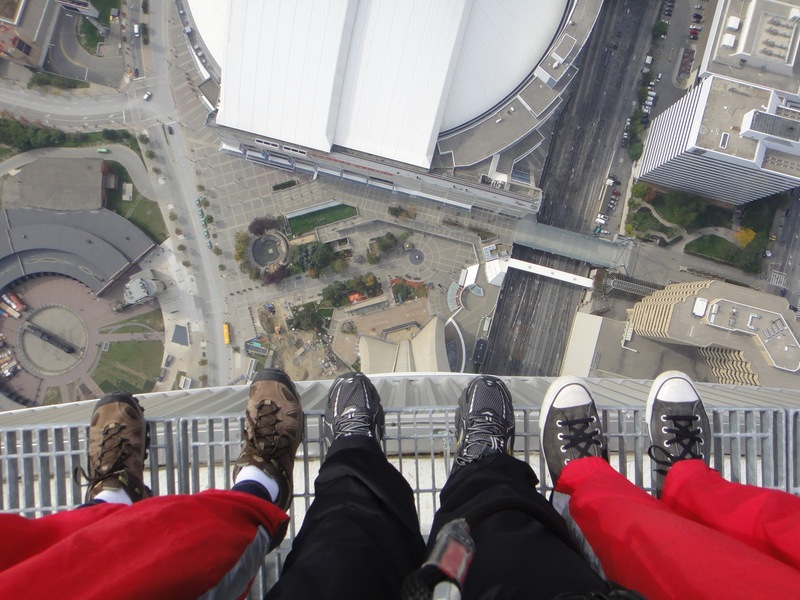 A Canadian friend of mine sent me a link to this knowing I’m scared of heights. Just the photos freak me out. Cannot imagine!!! So so so cool! Love that last pic!!! I so want to this! What an amazing experience it must have been. Great pics!